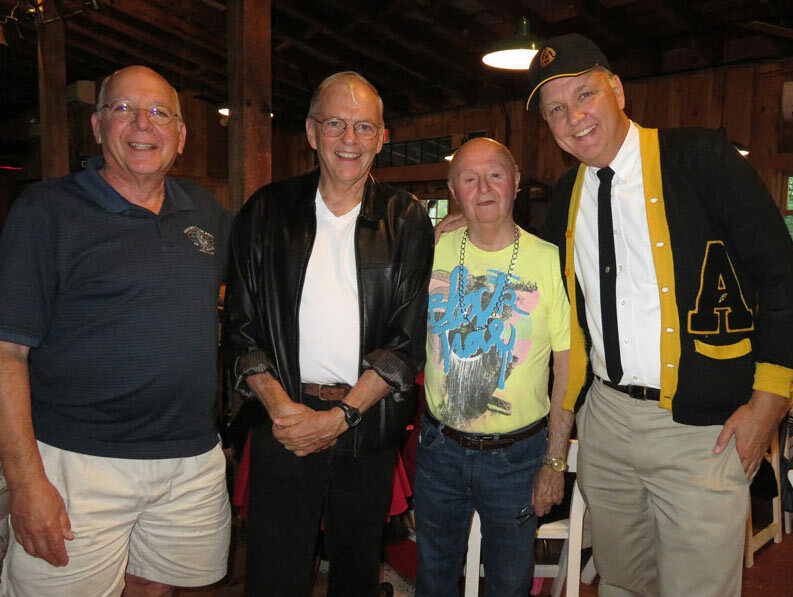 President John shared the invitation to all Club members to attend the 97th Annual District Convention in Leominster, MA Aug. 20-22. Our Club can have as many as three voting delegates. Beginning with our first meeting in October, we will be at Woodside in the Taylor Community. 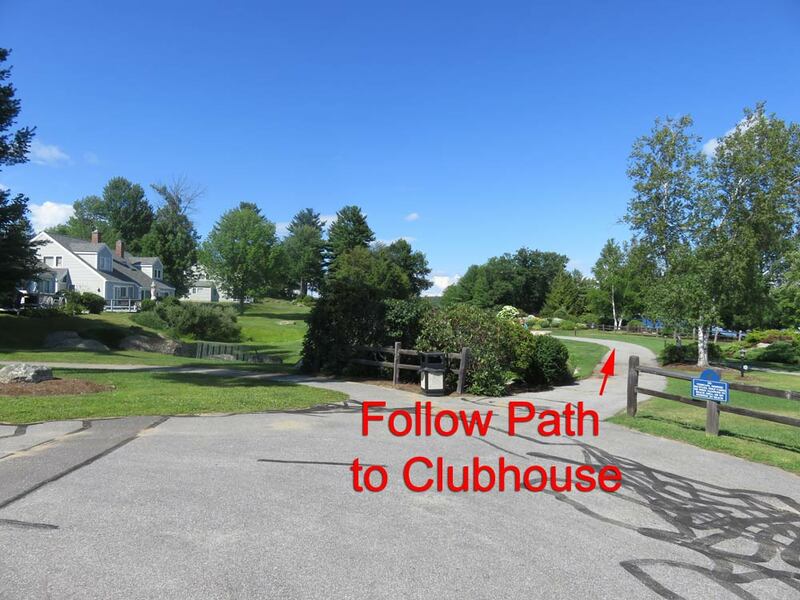 John also stressed the importance of all members selling raffle tickets for a 2-night stay at one of the Inns at Mill Falls to support Roger's Ride. 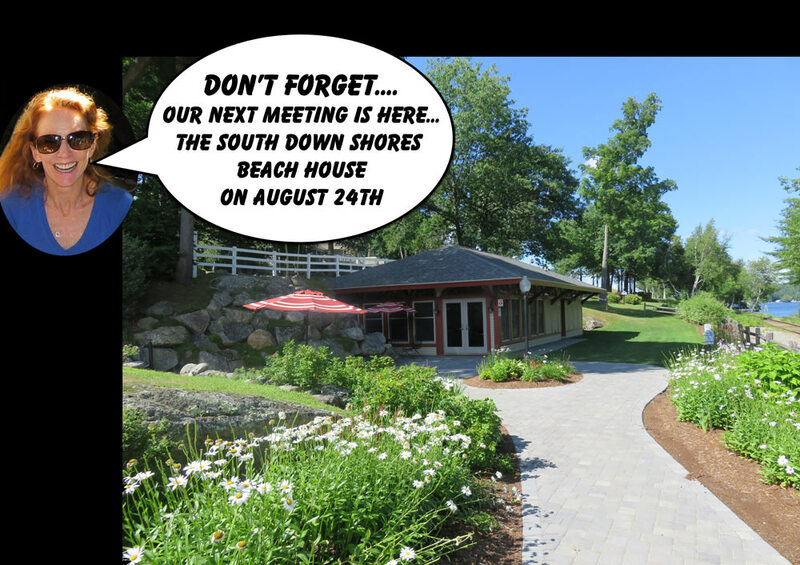 Muff Walker updated details concerning the August 24th BBQ social from 6-9 PM at the South Down Shores Beach House. BBQ chicken, bring a dish to share, bring a bottle of wine or 6-pack of beer to share. Most importantly, bring your spouse and bring some friends. 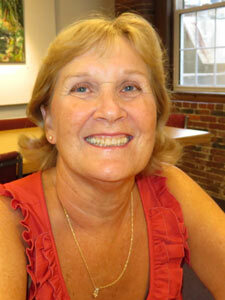 Betty Ballantyne briefed the Club on what has been done to date for this year's Roger's Ride fund-raiser, scheduled for Sunday, August 30th. 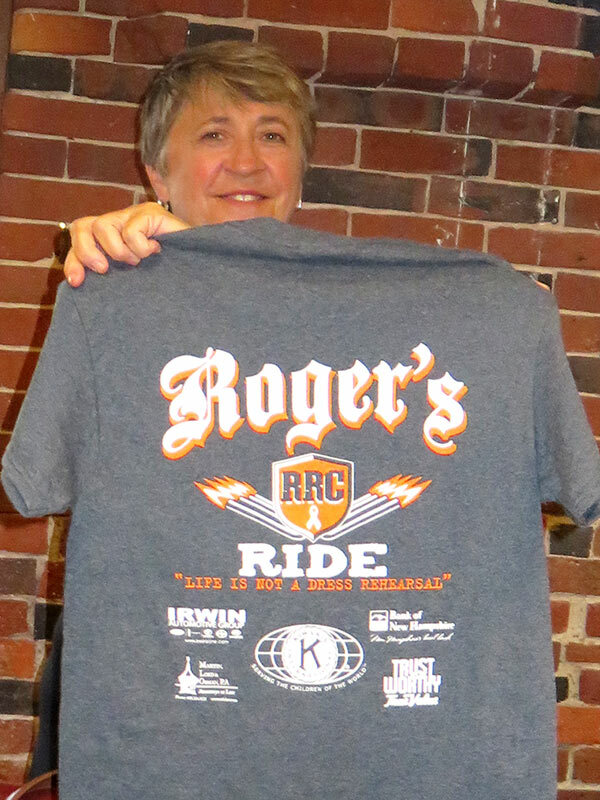 She also demonstrated this year's Roger's Ride T-shirts that are now on sale for $10.00. Roger's Ride T-shirts are available for just $10. 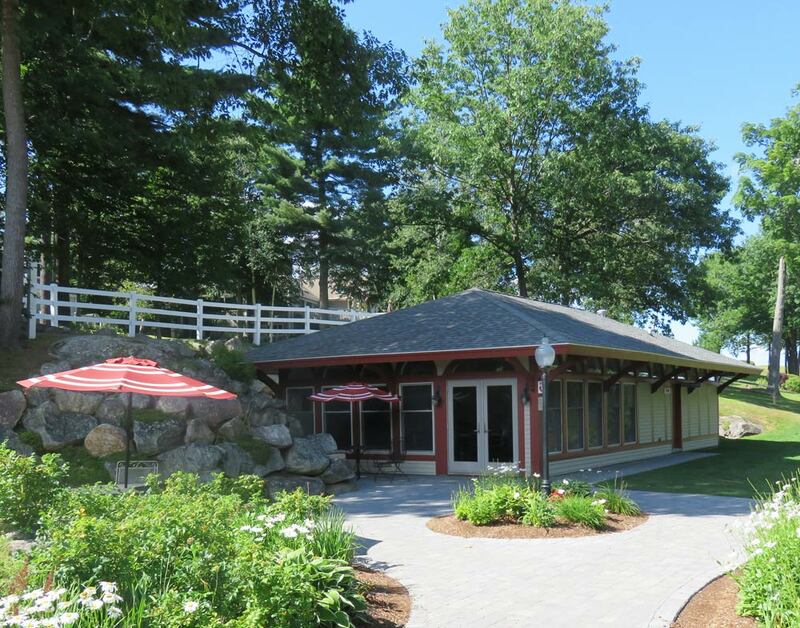 $5 from John Walker: $3 in honor of our three guests attending tonight, $1 for the successful 8 weeks of Laconia where nearly 23,000 lunches have been delivered so far this summer, and $1 for the return of the Nelsons from the Cape. Rob Reid introduced our guest Ryan Lemay. Rob noted he has known Ryan since high school as a great guitar player. 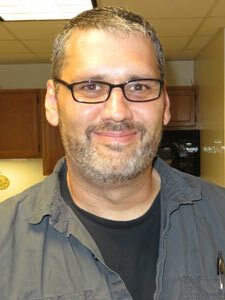 He was originally contacted by Rob to provide the entertainment to the crowd at the upcoming Roger’s Ride. When contacted, Ryan reported on a program that he had started in Franklin teaching guitar to under privileged and at risk children. The program, called Sonic Wallpaper, includes both guitar lessons and yoga lessons. 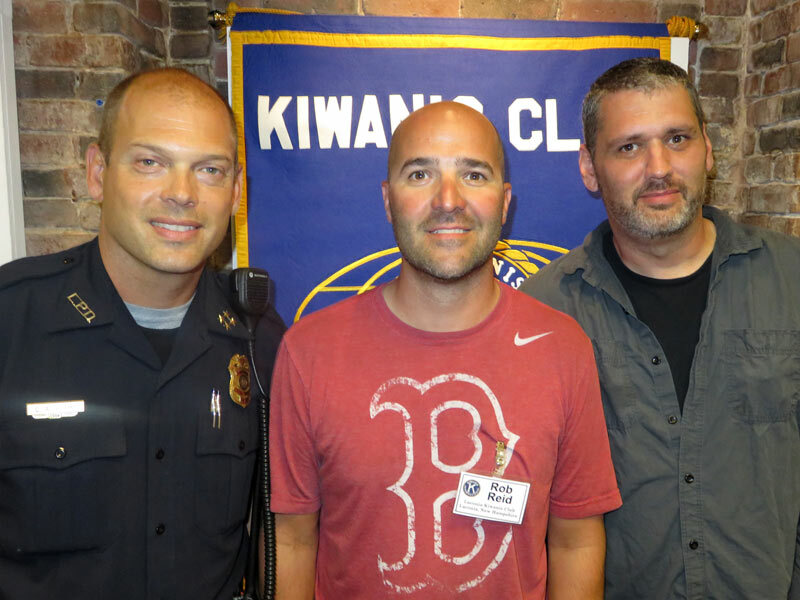 During his presentation, Ryan suggested that perhaps the Laconia Kiwanis Club could be the Fiscal Agent for his program. 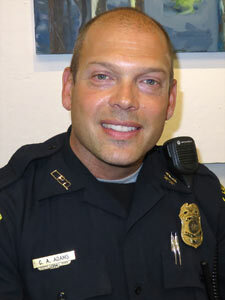 Ryan's program will run from 6-8 PM on Wednesday nights in the Community Center on Union Ave. Ryan conducted his program successfully in Franklin before moving it to Laconia effective September 2nd. 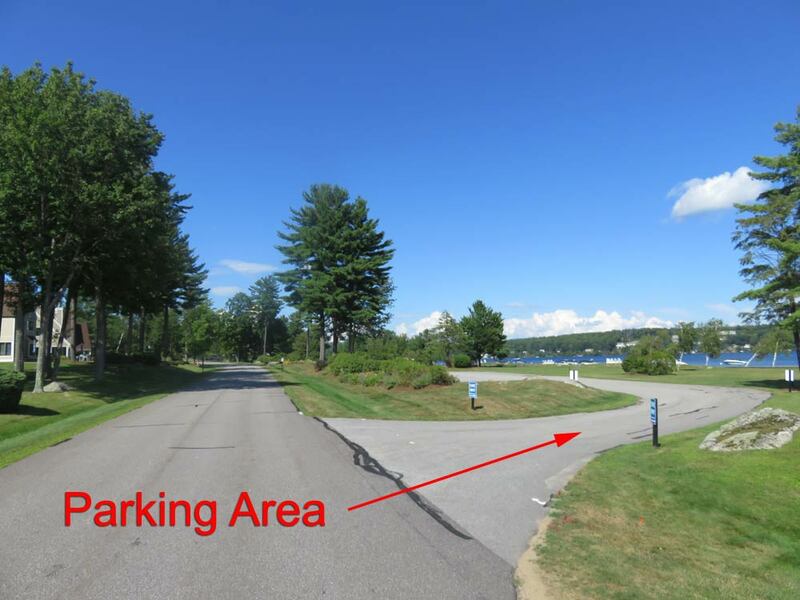 His program has succeeded as a totally donation-based program, and hopes we can help get the word out regarding his need for donations as he starts up in Laconia. Ryan has agreed to provide background music during lunch following Roger's Ride. For details on Sonic Wallpaper, “click” here. Tonight's meeting was adjourned at 7:32 p.m.
RttttttllllltllllllllllllllllllllllllllThis is the place to be on Monday August 24th. 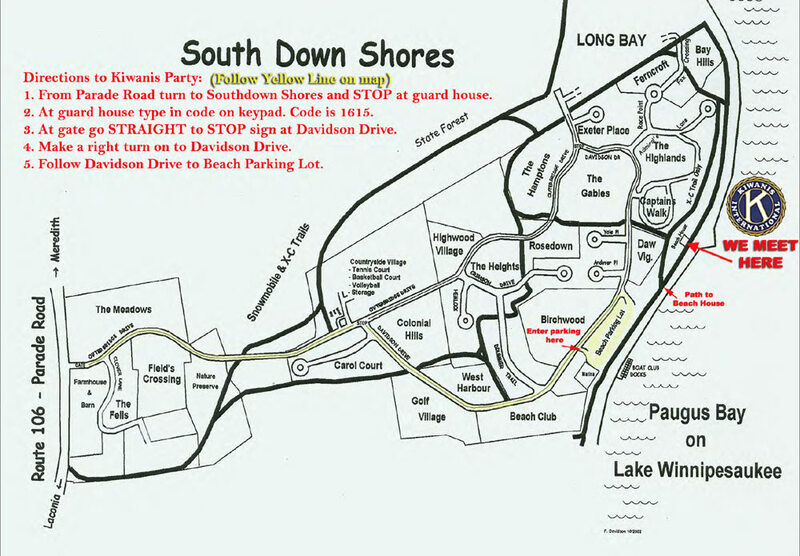 For directions to South Down Shores Beach House suitable for printing,"click" on the map below. After parking your car, walk to the opening in the fence. 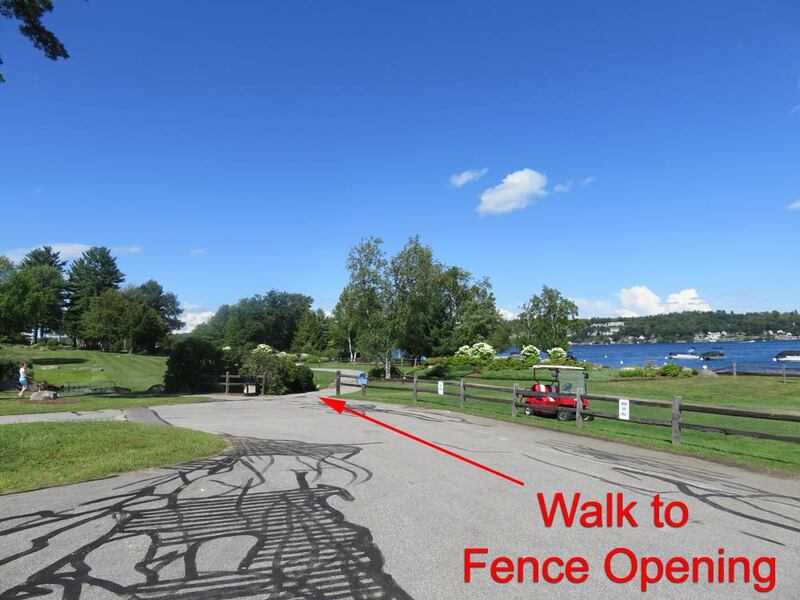 At the opening in the fence,walk along the sidewalk for about two minutes until you reach the South Down Shores Clubhouse.